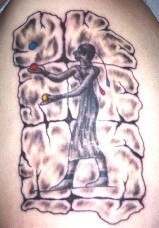 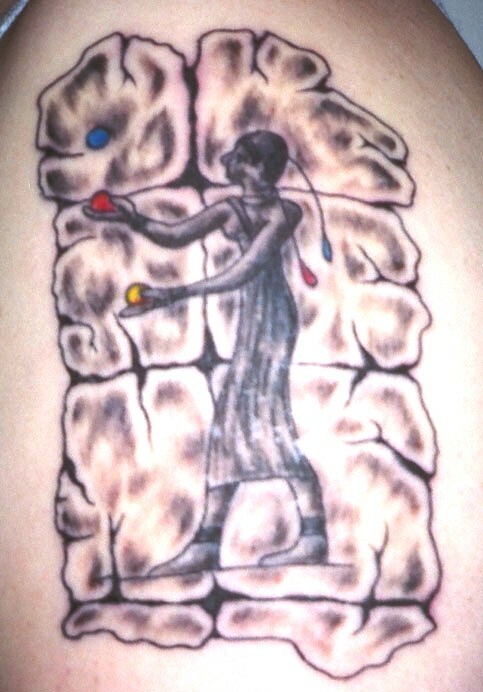 Dave Walters: Toltec Jugglers (right shoulder); based on second oldest depiction of juggling (950 A.D.) but with top ball added for 1994 Portsmouth Juggling Federation convention logo. 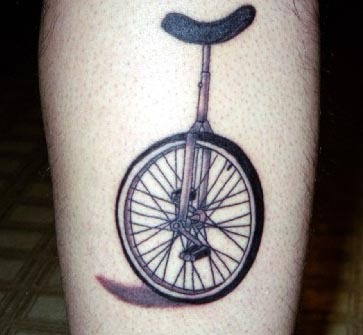 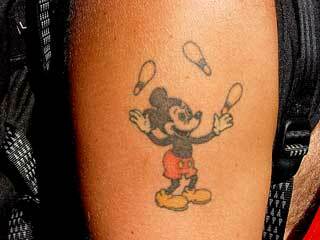 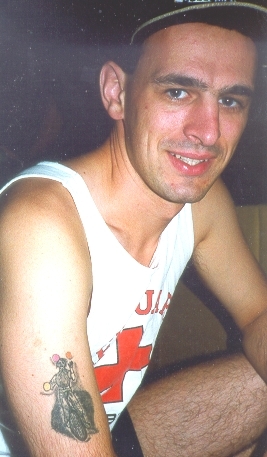 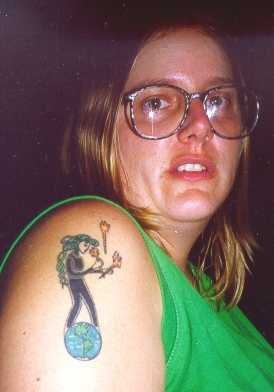 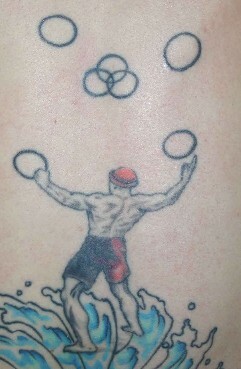 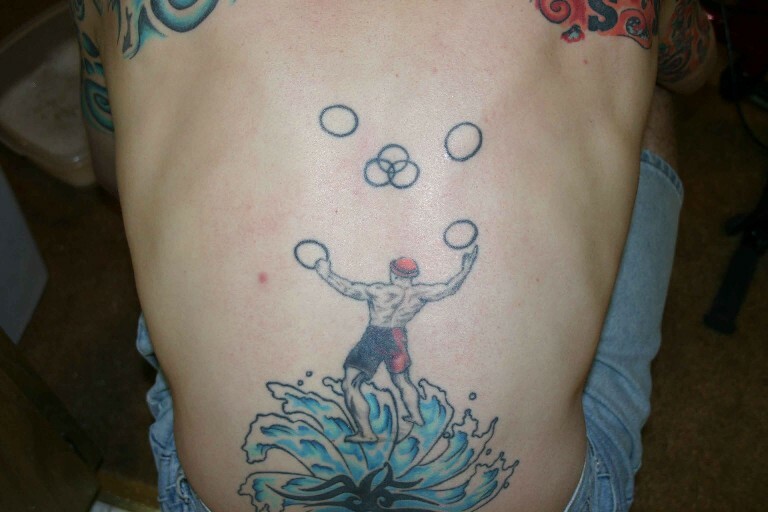 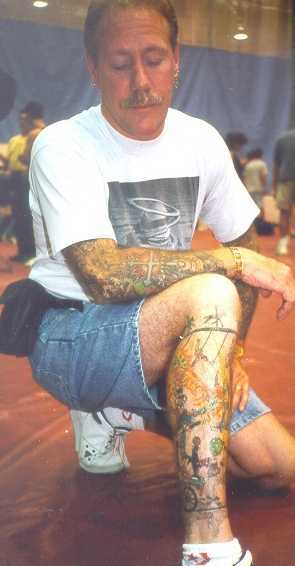 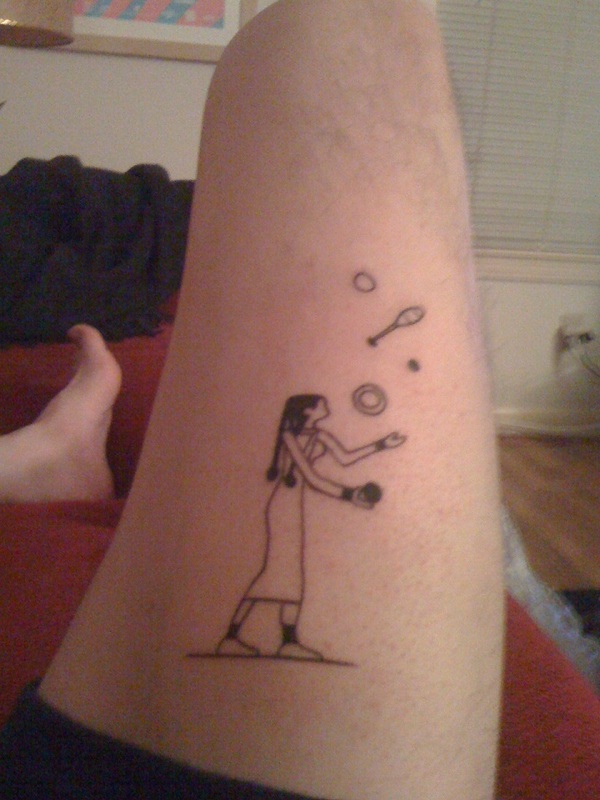 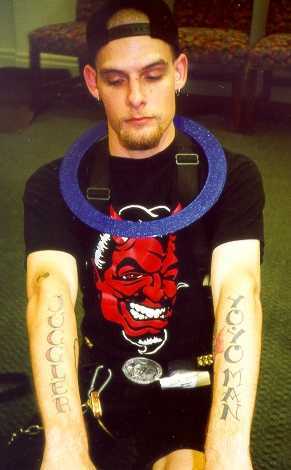 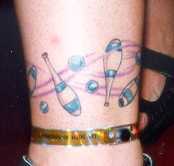 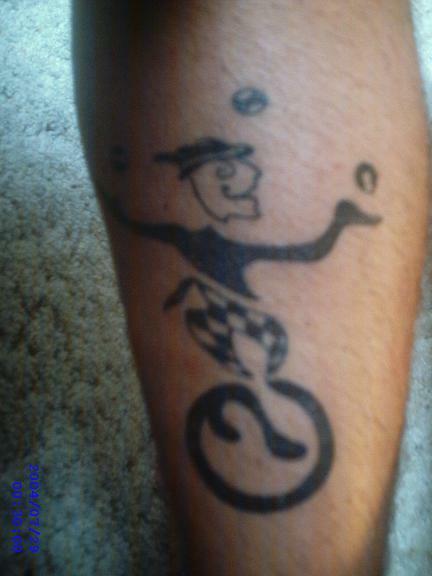 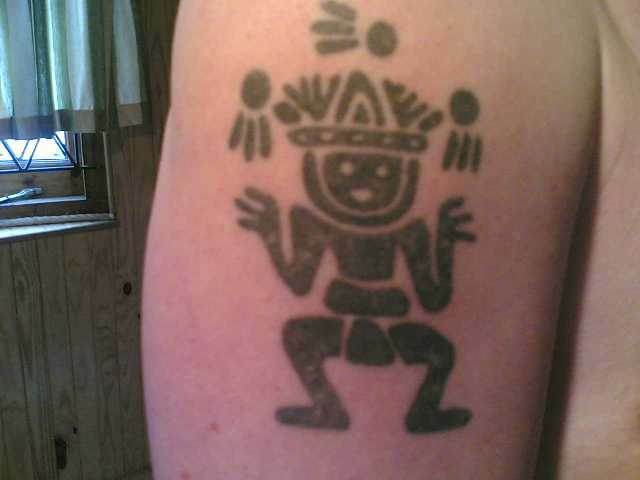 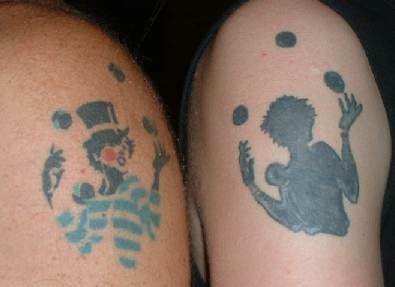 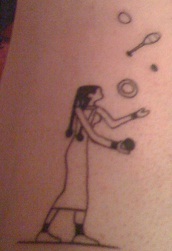 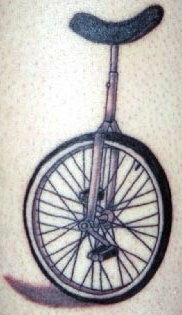 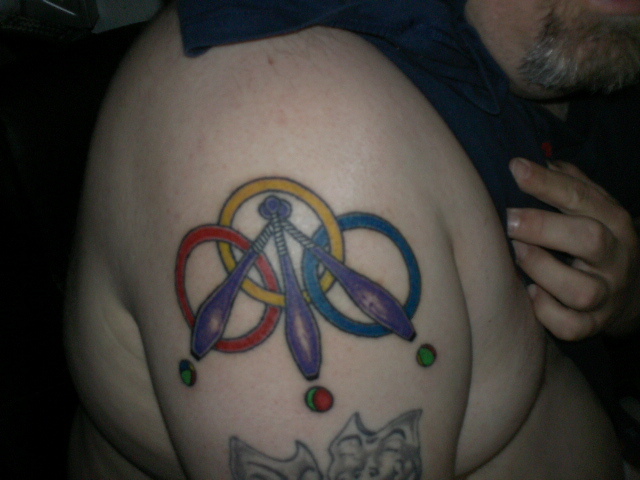 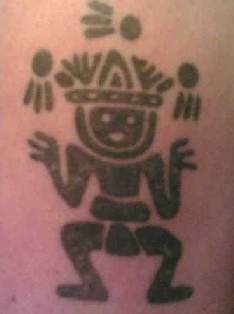 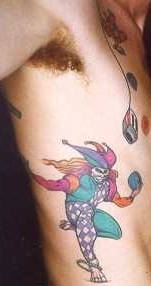 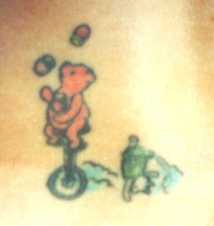 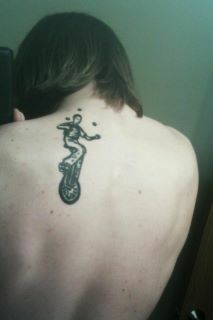 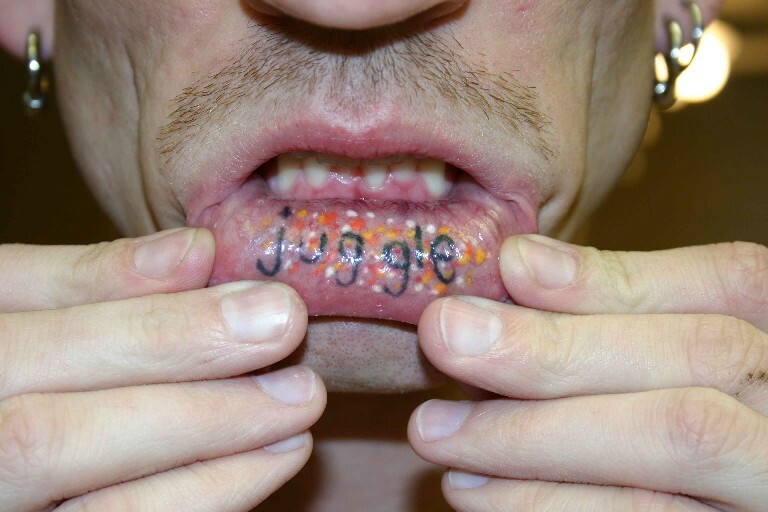 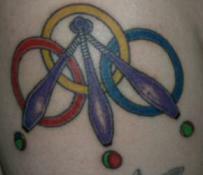 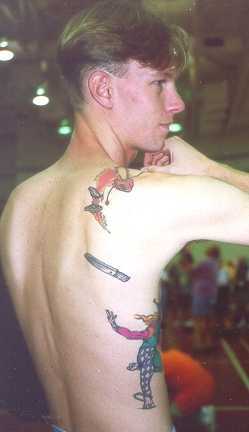 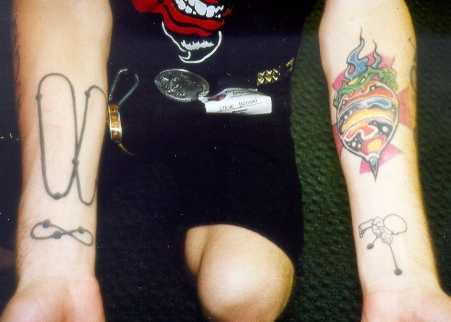 Searching google for juggling tattoos will also give you some interesting ones. 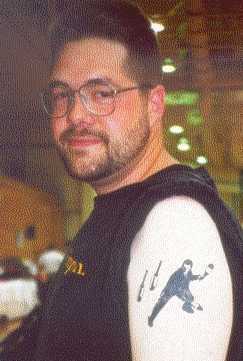 This page is maintained by Scott Seltzer with the help of Roni Lynn. 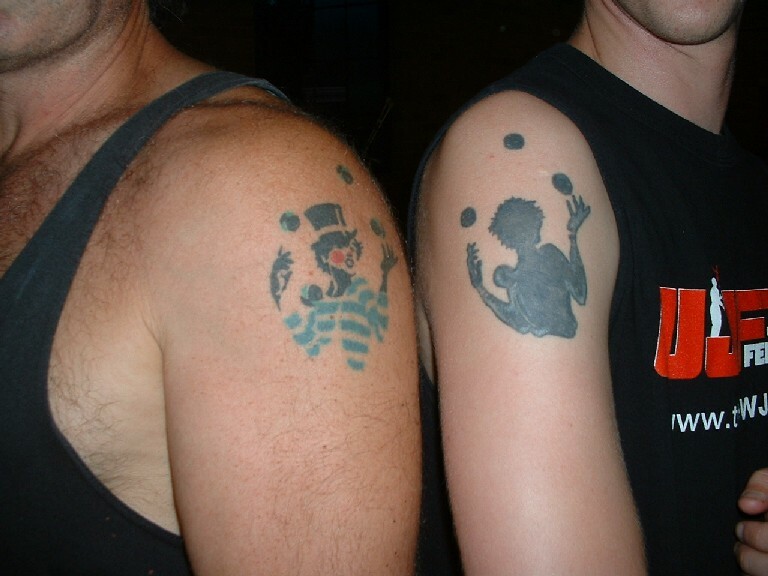 Email images to scott@juggler.net.